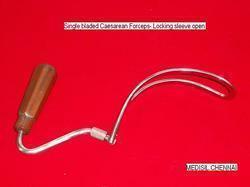 Leading Manufacturer of gynecology instruments, cesarean forceps and vaginal specula from Chennai. Innovation is our forte, and abiding by the same, we manufacture, supply, import and trade finest quality Gynecology Instruments. Designed in compliance with the standards of medical sector, this instrument is demanded in a number of hospitals and clinics. Also, in order to meet the diverse medical requirements, we provide these instruments in varied customized specifications. We are counted among the most trusted manufacturers, suppliers, exporters and importers of a vast collection of Cesarean Forceps. These forceps are designed to perfection under the guidance of our sedulous professionals. The most striking benefit of this instrument is that it avoids hemorrhage while delivering the head. Also, under direct vision, it helps in enlarging uterine incision bit by bit. 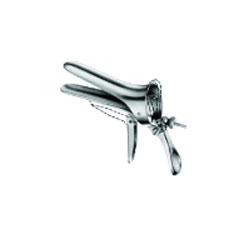 Clients can avail from us Vaginal Specula which is suitably designed for delivery of the child. It is designed and made with precision under the guidance of adept professionals. Also, it is designed as per universally accepted norms and standards, thereby meeting specific needs of the physicians. Clients can avail these products from us at market leading prices.